The birds gathered as their world quaked. They couldn't thrive in this age of entropy and disenchantment. Their world was disintegrating and they needed their king - the Sigmorgh - to lead them. Each bird represents a personality and correspondingly, a human flaw. The parrot was comfortable with imprisonment as long as it was showered with attention and creature comforts. The duck reveled in its little pool of water, seeing no need to change. The partridge gave all its attention to the precious stones while the nightingale sang to the red rose with self-indulgent melancholy. All of them were reluctant to embark on the journey to seek their Sigmorgh. One bird - the hoopoe - rallied their spirits and thus, their adventure began. The birds must pass seven valleys as they seek their elusive king: Talab (Yearning), Eshq (Love), Marifat (Gnosis), Istighnah (Detachment), Tawheed (Unity of God), Hayrat (Bewilderment) and, finally, Fuqur and Fane (Selflessness and Oblivion in God). These valleys of tribulations mirror the obstacles a Sufi must traverse to realise the true nature of God. Along the way, they saw the princess who had an illicit affair with a handsome beggar (who eventually became crazed with longing). They chanced upon the death and subsequent rebirth of a phoenix. They saw moths that flirted with danger and perished in the candlelights. They were buffeted by the sandstorms and rejected at the gateway of the valleys. They suffered. The arduous journey was too much for some birds, and they sneaked away in the night. Eventually, only thirty birds reached the land of the Simorgh. Their king was nowhere to be seen and they despaired. In Persian, "Si" means thirty and "murgh" means birds. Simorgh - the king of the birds - was, essentially, their collective identities. They were the Simorgh and the journey's end. That this is that, that this, the goal is won. That 'we' is not distinguished here from 'you'? The thirty birds seeking the Simorgh realise that the Simorgh is themselves. It is a Sufi doctrine that we need not seek God in external objects or events for God lies within ourselves. As the birds realise the truth, they now reach the station of Baqa (Subsistence) which sits atop the Mountain Qaf. Farid Uddi Attar wrote this poem on the meaning of life, one titled The Conference of the Birds. 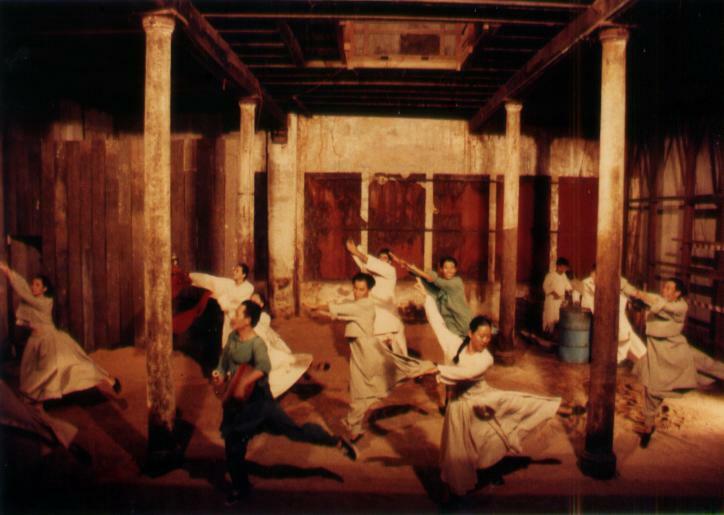 In 2001, the theater luminary William Teo staged this play in a disused warehouse. 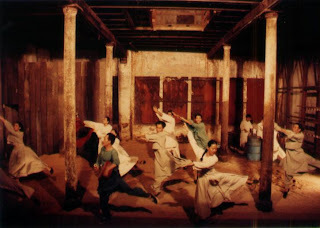 In 2011, the play was revisited by Jeremiah Choy as part of Singapore Arts Festival. On the exquisite stage of wooden planks, the performers moved about. The sinuous flow of cloth and shadows as the actors whirled in tune to the accompaniment was enchanting. Time lapsed as we were transported into a world where fowls observed the follies of humans. After the play, tea eggs were even offered to the audience. It was a thoughtful gesture, unexpected but appreciated. Theater often subjects the performers to observations of their audience, creating a metaphysical distance between the two parties. This communal sharing of food bridged the gap, bringing the performers and their audience closer. As I peeled off the cracked shell of the tea egg, I wondered about the irony of eating a bird's egg after watching an allegory about birds. I wondered about the coda of this play too: sometimes, what we so fervently seek may be with us all along.